Atlantic Ballet Theatre of Canada begins its 13th exciting season this fall with the arrival of five new dancers, an original ballet by Artistic Director Igor Dobrovolskiy inspired by the life of French songstress Edith Piaf, a cross-Canada tour of its powerful and award-winning Ghosts of Violence ballet and many other events, including the popular Grant Thornton Velvet Gala to be held once again this year in Moncton. “We’re looking forward to a wonderful season and infusion of exciting new dance talent that I’m positive will greatly please and enthrall our audiences,” says Susan Chalmers-Gauvin, CEO of Atlantic Ballet Theatre of Canada. Five new dancers will be joining the company this season – three women and two men. The female dancers are Stéphanie Audet of Montreal; Arielle Marin of Orlando, Florida; and Olga Petiteau of France; while the male dancers are Raffaele Diligente and Giacomo Vitelli, both of Italy. On November 28, Atlantic Ballet Theatre will once again host its largest fundraiser of the year – the Grant Thornton Velvet Gala, combining a series of original artistic performances at the Capitol Theatre in Moncton followed by gourmet desserts and delicacies at Hotel Beauséjour. This year’s black-tie event will likely sell out again, as it has in the past. This year’s Founders’ Circle inductees will be a number of the company’s dancers from its early years. Further details on this year’s Gala will be announced in the coming weeks. On December 7 and 8, Atlantic Ballet Theatre dancers will take to the stage once again as guest performers in the Centre for Arts and Education’s holiday season production of A Christmas Carol at the Wesleyan Celebration Centre in Moncton. 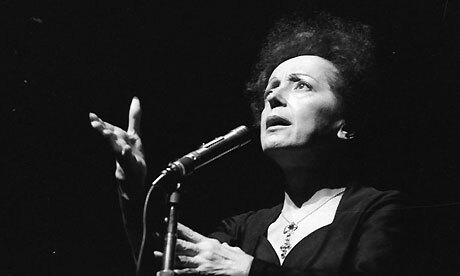 Atlantic Ballet Theatre Artistic Director Igor Dobrovolskiy is sure to thrill audiences with an original ballet inspired by the tragic life of renowned French singer Edith Piaf, who died at the young age of 47 in 1963. The world premiere of the new ballet takes place on January 10 at The Fredericton Playhouse in Fredericton. Details on the new production will be announced in the coming weeks. At the end of January, Ghosts of Violence begins a Canadian tour that will bring the ballet that raises awareness on intimate-partner violence to British Columbia, Alberta, Saskatchewan, Ontario and Quebec. In April, Atlantic Ballet Theatre will partner with women’s shelters in Fredericton in a fundraiser to support local efforts against violence. Ghosts of Violence wraps up its incredible three-year journey in Montreal on May 3 after being seen by thousands of people across Canada, many of them students. Atlantic Ballet Theatre of Canada is a neo-classical ballet company dedicated to performing original works by choreographer Igor Dobrovolskiy, also Artistic Director at Atlantic Ballet Theatre of Canada. Founded in 2001 by Mr. Dobrovolskiy and CEO Susan Chalmers-Gauvin, the company pursues a continuous creative process through collaboration with like-minded artists attracted by the vision and artistic philosophy of its Artistic Director. Under the creative vision of Igor Dobrovolskiy the company has performed throughout Canada, as well as in the United States, Belgium, Switzerland, France and Germany. For more information on the company, visit their website at www.atlanticballet.ca.